The Clayton County (GA) Water Authority is holding monthly workshops to acquaint the business community with its new Small Local Business Certification Program. Attendees also will be briefed on upcoming contracting opportunities and hear from guest speakers on local business resources. The workshops are held at 1600 Battle Creek Road, Morrow, GA 30260. The Water Authority is planning a Social Media Workshop in October (date TBD) and a Business Social Mixer in November (date TBD). Businesses that are currently certified as a small business with GDOT, City of Atlanta, DeKalb County or Clayton County may be provisionally certified as a small local business with the Water Authority. You can learn how you can get certified at these workshops. The National Institute of Standards and Technology (NIST) has issued new guidance aimed at protecting federal data that’s stored on information systems outside the federal government. Special Publication 800-171, Protecting Controlled Unclassified Information in Nonfederal Information Systems and Organizations, applies to information systems and organizations outside of the federal government that process, store or transmit federal controlled unclassified information, or CUI. CUI is any information that the federal government requires to be safeguarded by security and/or privacy controls, excluding information that is deemed classified, which is protected under a different set of regulations. Last summer, President Obama signed an executive order requiring prospective federal contractors to disclose to the contracting agency “any administrative merits decision, arbitral award or decision, or civil judgment” related to wage and hour, safety and health, collective bargaining, family and medical leave, or civil rights laws. The order, titled “Fair Pay and Safe Workplaces,” directed the secretary of Labor to develop guidance to assist agencies in determining whether labor law violations were issued for “serious, repeated, willful, or pervasive” offenses. Under the proposed guidance, published in the Federal Register on May 28, virtually any determination from any labor and employment enforcement agency will trigger a federal contractor’s reporting requirement. Over the last year, particularly on federal contracts, I’ve been seeing the rise of a very disturbing procurement process. It’s “Brooks Act” compatible. 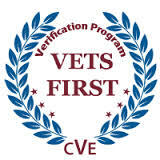 It is a safe method for procurement professionals to use. And it actually puts the incumbent at a disadvantage. What is it? 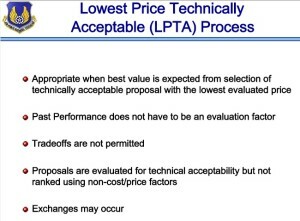 The Air Force describes appropriate use of the LPTA acquisition method in this training slide. 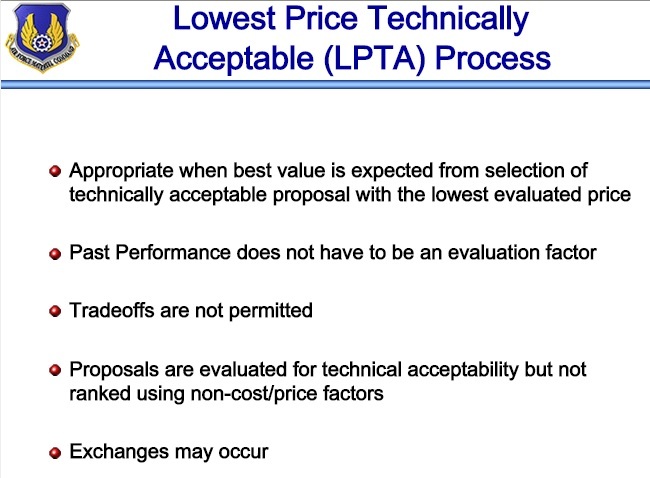 It is called Lowest Price Technically Acceptable (LPTA for short). Wait a minute, hasn’t this been around forever? Yes, it has. But, based on what I’m seeing, reading and hearing, the use of this procurement method has dramatically increased since 2013. And it’s now being used to procure everything from construction management, design, consulting, and even training services. 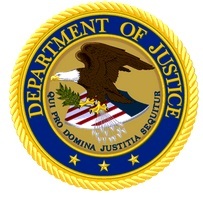 Two owners of Carl M. Weber Steel Service, Inc. (Weber Steel), of Kutztown, PA, were charged with one count of conspiracy to commit wire fraud, the Philadelphia U.S. Attorney’s Office announced June 16, 2015. 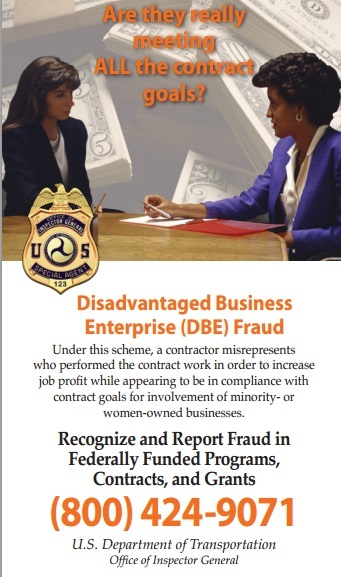 The conspiracy charge states that Dennis Weber, president of Weber Steel, and Dale Weber, vice president, engaged in a scheme to defraud the U.S. Department of Transportation through DOT’s Disadvantaged Business Enterprise program (DBE). Weber Steel, a bridge and highway construction contractor, was not a certified DBE, but set-up and utilized a sham DBE called Karen Construction Co., Inc. (Karen Construction) to obtain DBE subcontracts for bridge and highway construction. From approximately April 1995 through November 2011, Karen Construction, posing as a DBE, obtained an estimated $18.7 million from approximately 224 federally-funded projects, when, in reality, it was controlled by Weber Steel, a non-DBE. If convicted, defendants Dennis and Dale Weber each face a maximum sentence of five years in prison, two years of supervised release, a fine of up to $250,000, and a $100 special assessment. Defendant Weber Steel faces a maximum sentence of five years of probation, a fine of up to $500,000, and a $100 special assessment. The case was investigated by USDOT’s Office of Inspector General, the Federal Bureau of Investigation, and the U.S. Department of Labor’s Office of Inspector General/Office of Labor Racketeering and Fraud Investigations. 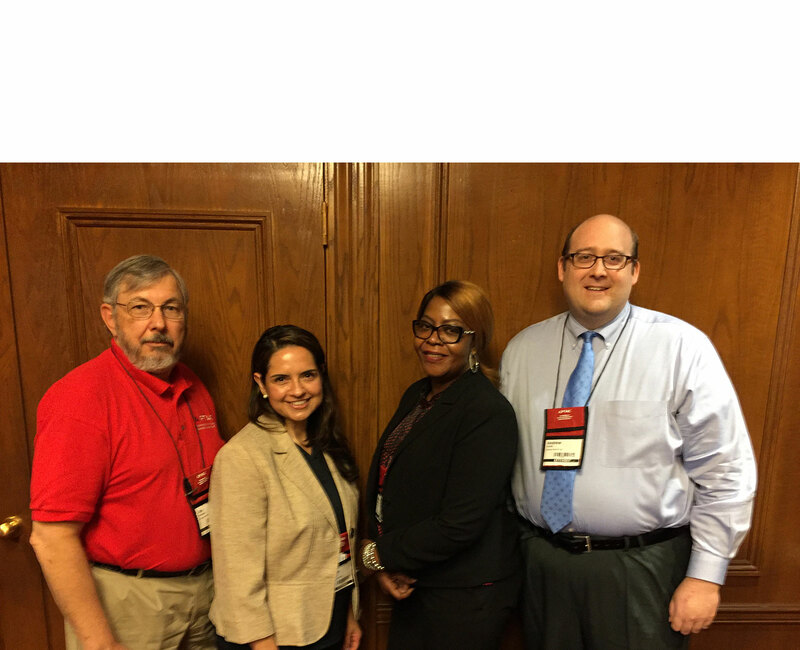 A Small Business Industry Day (SBID) outreach event is being sponsored by the Air Force Sustainment Center on July 14 and 15, 2015 at the Middle Georgia State College Conference Center in Macon, GA. The event is designed to increase small business participation and awareness in the Air Force supply chain. The AF Sustainment SBID provides benefit to the Air Force by creating partnerships and increasing small business participation. The event focuses on small business capabilities, Air Force business opportunities, and matching Air Force subject matter experts with the large and small business communities. The event will feature a combination of senior-level speakers from the Air Force, informational briefings, networking opportunities, as well as one-on-one meeting opportunities between small businesses and government points-of-contact (POCs). This opportunity is a forum that emphasizes small business capabilities and new concepts, highlights existing small business products, and promotes collaboration. Advance registration required and may be accomplished at: https://afconference.brtrc.com/AFSBID/2015Sustainment/Default.aspx. The registration fee for small business attendees is $200.00. For all Major Defense Contractors attendees, the fee is $250.00. 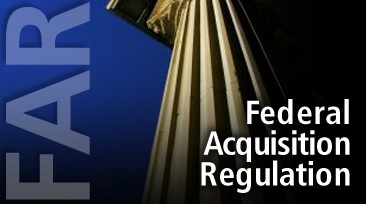 The Federal Acquisition Regulation (FAR) requires most large business contractors to have a plan approved by the government to subcontract a certain amount of their work to the various types of small business contractors (i.e., SDB, WOSB, SDVOSB, etc.). In the last few years, we have seen a noticeable increase in activity related to these subcontracting plans. SBA changed its subcontracting rules in July 2013 and since then has stepped up its audits to determine how well contractors are complying with their subcontracting plans. The FAR, which has lagged behind the updated SBA regulations, is now poised to catch up in several respects based on proposed changes released on June 10, 2015. Interested parties may submit written comments on this proposed rule. Comments must be received on or before August 10, 2015 by mail to the General Services Administration, Regulatory Secretariat Division (MVCB), ATTN: Ms. Flowers, 1800 F. Street NW., 2nd Floor, Washington, DC 20405. Cite FAR case 2014-003. Comments also may be sent via the Federal eRulemaking portal by searching “FAR Case 2014-003.” Select the link “Comment Now” that corresponds with “FAR Case 2014-003.” Follow the instructions provided on the screen. Please include your name, company name (if any), and “FAR Case 2014-003” on your attached document. After the release of a special item number (SIN) for cloud products and services on IT Schedule 70, the General Services Administration is now looking to create two more SINs for targeted technologies, namely health IT and cybersecurity. The Office of Integrated Technology Services (ITS) plans to issue a request for information in the next two weeks asking agencies and industry to comment on what needs to be included in a health IT SIN, according to Soundjata Carty, contracting officer at the ITS Office of IT Schedule Programs. Georgia businesses are invited to attend GaMEP’s next Manufacturing Growth meeting in Lawrenceville or Acworth. At this event you will learn how to interpret the 2015 updates to ISO standards for ISO 9001 (quality management systems) and ISO 14001 (environmental management systems) and how to incorporate changes into your existing management system to retain your company’s ISO certification. Register here for Changes to ISO 9001 and ISO 14001 in Lawrenceville. Register here for Changes to ISO 9001 and ISO 14001 in Acworth.